Reel it in this season in Norfolk&apos;s admired Ocean View! It&apos;s where you&apos;ll find your catch during anytime of year. The fishing in Norfolk is all the rage, from locals to visitors who come from afar; word on the street, or shall we say on the water, is that the fish are BIG. As the weather is cooling down, Striper season, more commonly known as Rock Fish, is upon us. Gather your bait, and prepare to tackle Norfolk&apos;s fishing scene with these expert fall fishing tips from famed local fisherman Kayak Kevin! Kevin Whitley, more commonly known as: Kayak Kevin is a specialty kayak fisherman. When seeking out fishing advice in the Hampton Roads Area he has the top notch answers. Kayak Kevin has a very impressive list of accomplishments, from completing a 500-mile tour from the Georgia/Florida border, all the way to Norfolk…via kayak! He additionally completed a 600-mile fishing tour around the Chesapeake Bay, which was filmed, called "Kayak Fishing the Chesapeake Bay"...mind you these are just a few of his kayaking achievements. Kayak Kevin has been awarded the Saltwater Angler award, along with the Angler of the Year Award. He is devoted to his passion for kayak fishing, and enjoys promoting all that it offers. What makes the fall season "Striper Season" in Norfolk? "Well, there are two reasons. First, most people think of Striper season as being after October 4th when it becomes legal to keep them. In the natural world, fall is a time when all of the fish in the bay eat to fatten up for winter and/or migration. 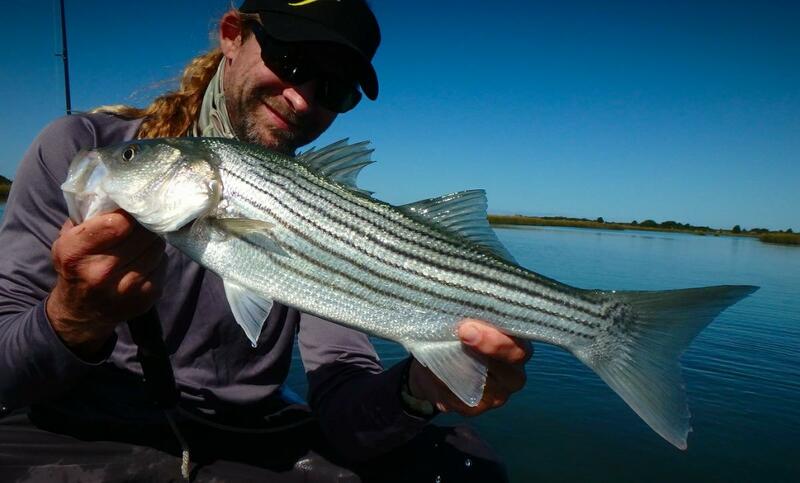 The big Stripers migrate down from New England into our rivers or they winter off our coast." Best way to catch a Striper? Shore or on the water? "You are a little limited from shore, but there are places like bridges at night and rock jetties that can be fished from shore. The best way is from the water. I target them around the tunnel islands of the local bridges. Under the lights of the bridges at night is very productive." What is your best piece of advice for a new fisher? "This time of year, the water temperature is dropping and becomes deadly as we go into winter. Invest in the proper winter gear before heading out on the water." Check out your fall/winter fishing options. You&apos;ll find local charter boat services that will take you out on the water to fish, kayak and water sport rentals, and Ocean View&apos;s best tackle shop: KeyDreams Charter Boat Service, Takedown Sportfishing, and the OV Fishing Pier.